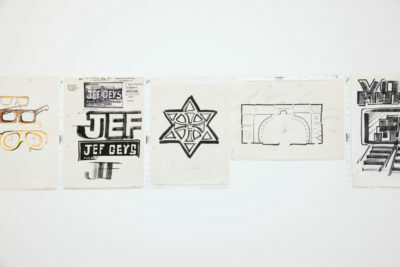 Greta Meert Gallery presents the third solo exhibition by Jef Geys (Leopoldsburg, 1939), simultaneously, until 8 July, with the ‘KOME’ exhibition in the Royal Museums of Fine Arts, Brussels (KMSK). 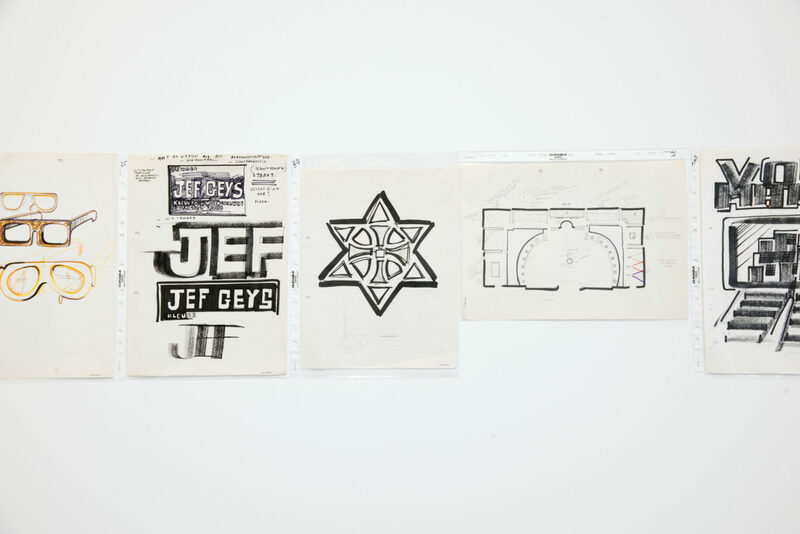 Since 1958 Jef Geys has kept an extensive archive of documentary material, sketches, correspondence, photos, press articles and cuttings, etc., all of which relate both to his oeuvre and environment and to the art scene in general. 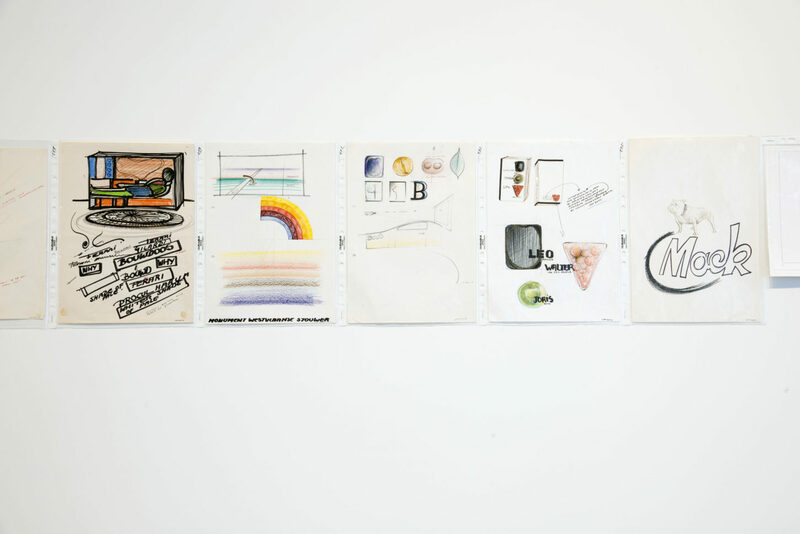 It is an activity that parallells other projects of his during the 1960s (the Vostell Archive) and that illustrates his growing attention for the document and its art-historical value. 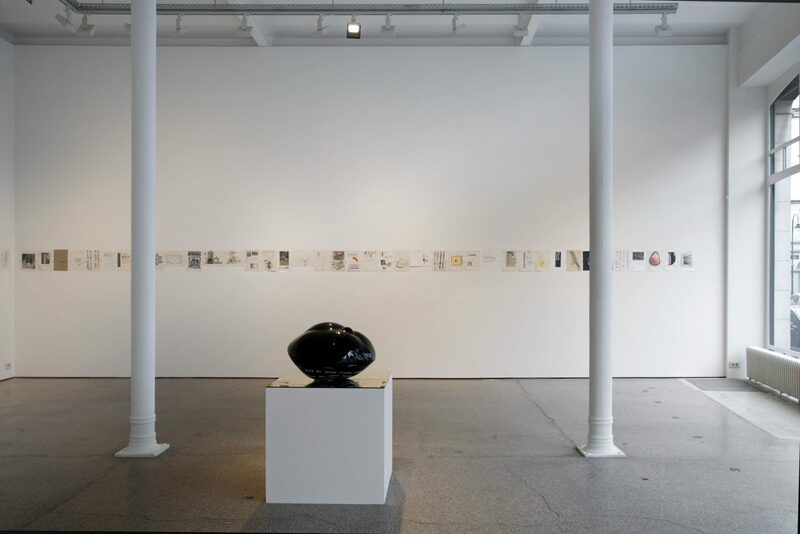 Greta Meert Gallery shows 203 documents from the artist’s inventory. 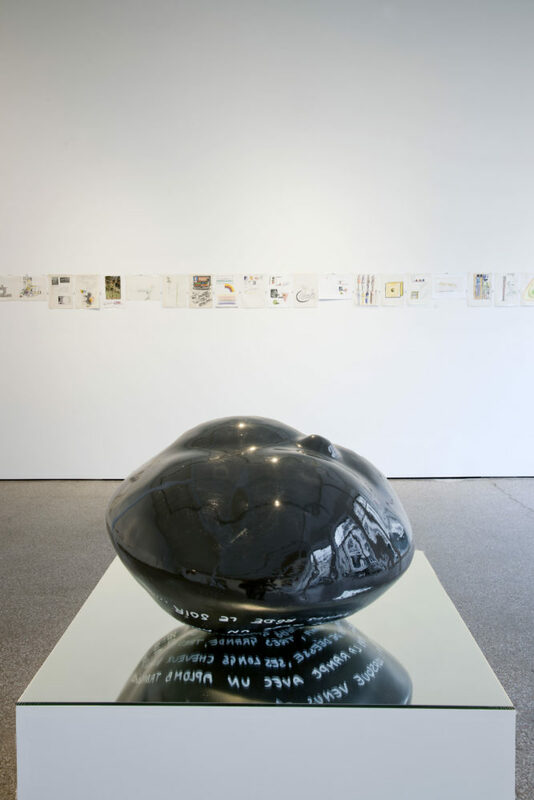 They include a sketch for the ‘Mama’ Middelheim project, a letter to the Royal Museums of Fine Arts on the ‘KOME’ exhibition, an ‘outline drawing’. 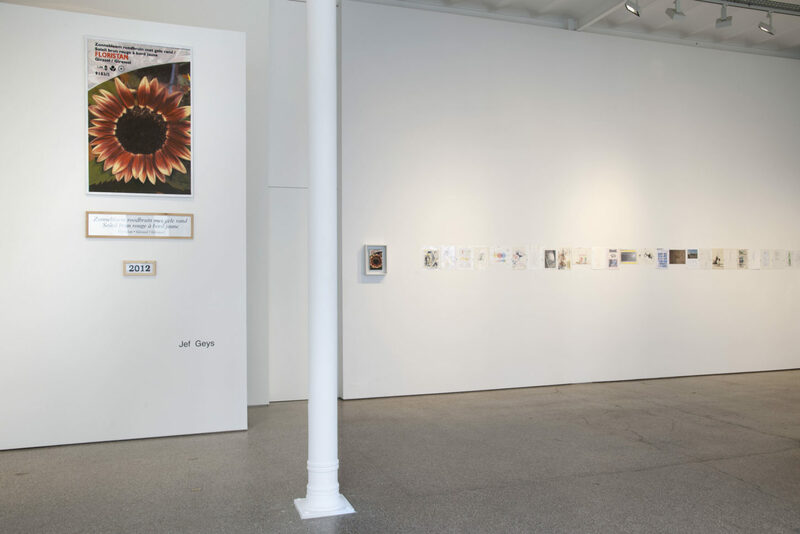 His inventory, however, transcends a merely archival function. 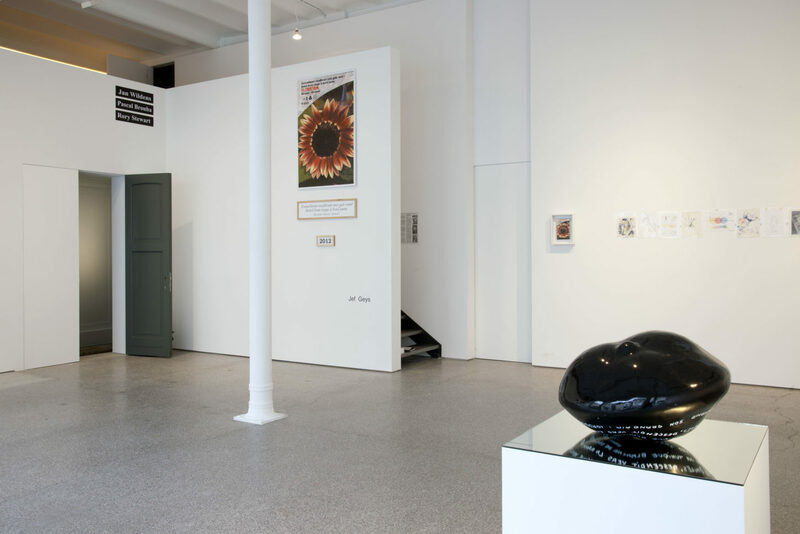 The wide diversity of subjects, information carriers and organisational forms as well as the continuous blending of Geys’ artistic practice with elements from his private life, enable his collection to escape from any kind of categorisation. It is an anti-hierarchical open structure, an interweaving of meanings. 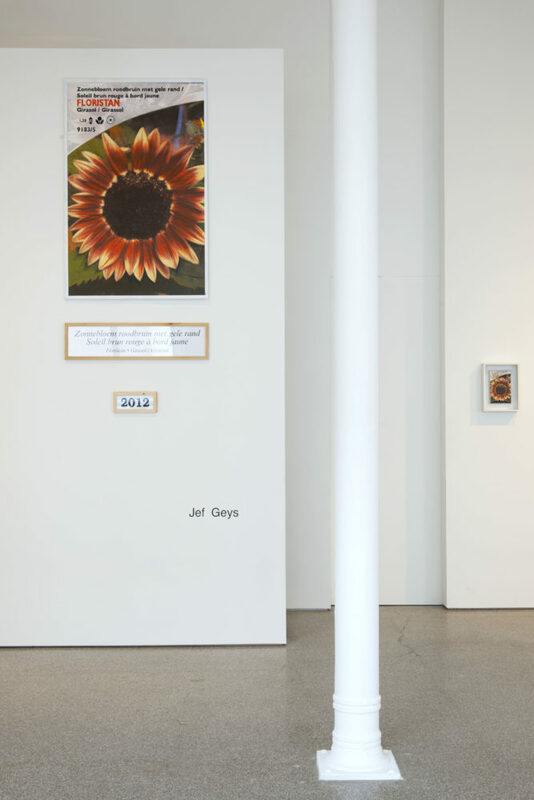 Jef Geys’ works all relate closely to the real world, which he experiences as a teacher, as an observer in the art world, as part of the social and natural environment. There is a levelling out of low and high culture, not unlike in Pop Art (its Anglo Saxon counterpart). An outstanding example is the ‘Fruit’ series, in bas-relief, referring to the coachwork of a car. Artistic objects as ultimate consumer goods. Over the years the artist has investigated the parameters of the ‘art work’ on several occasions in his oeuvre. 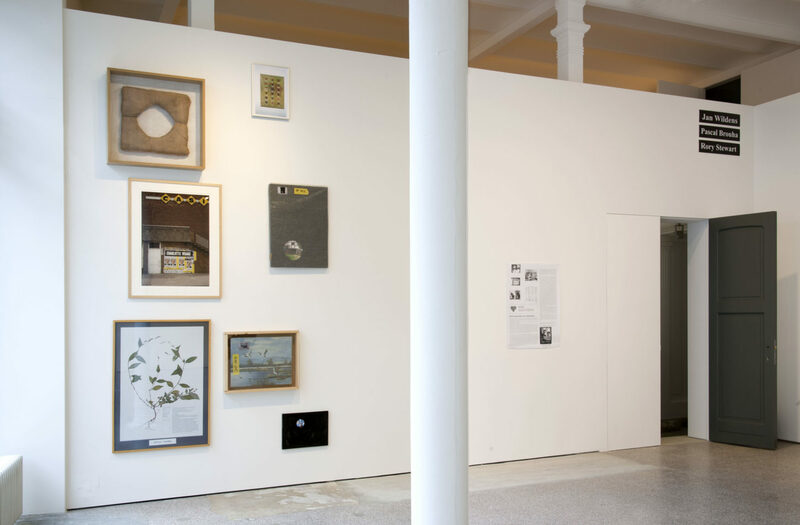 Recently, in the Museum of Contemporary Art, Antwerp (MuHKA) in the form of a serial mass production of the ‘Douven art factory’, from which a painting is shown here. In the KMSK exhibition Geys focuses on a further aspect of artistic production : the multiple art work and KOME (Kunstwerken Op Meerdere Exemplaren – Art works in multiple copies). Also the nature and the calling of the artist, and of art institutions are examined. Creative play is quite imoprtant in all of this: identity switches or infiltrations of his work in unusual contexts: a night club, a school, the Socialist Women’s Circle. They are ironical-poetical interventions that compromise and mask the identity of a work. ‘Patisson Nana’ also illustrates this complexity. Nana is the party girl in Emile Zola’s novel of that name who tragically turns out to bring about the financial and moral ruin of the beau monde in 19th century Paris. Geys selects the chapter in which Nana is first introduced, after which the downward spiral of lust, greed and decadence starts. The text is (barely) lisible in mirror wrirting, a reference to the Roman Catholic Index of forbidden books on which the noivel had been placed. Jef Geys has had numerous national and international solo exhibitions, i.a. 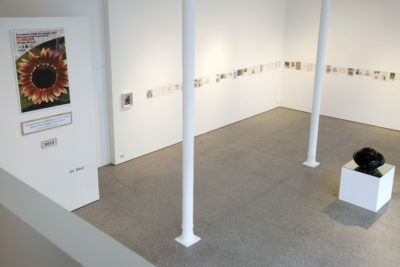 Chambre d’Amis, Gent (1986), São Paulo Biennial (1991), Middelheim, Antwerp (1999), Kunstverein, Munich (2001), Documenta 11, Kassel (2002), van Abbemuseum, Eindhoven (2004), Venice Biennial (2009), Museum of Modern Art, Detroit (2010), MuHKA (2011), Koninklijk Musem voor Schone Kunsten – Royal Museums of Modern Art – (2012).